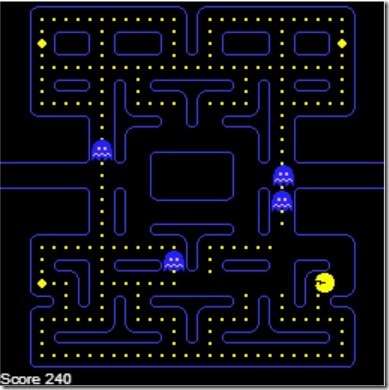 Pacman finds himself in a grid filled with monsters. Will he be able to eat all the dots on the board before the monsters eat him? 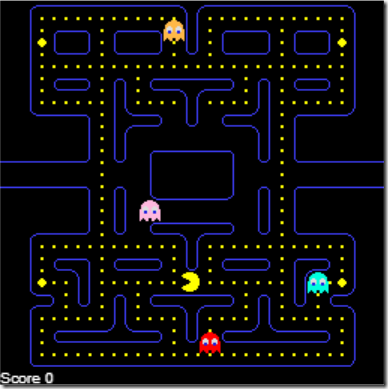 Back in early 2012 we ran a Pacman Kata at the F#unctional Londoners meetup where you start with a maze and sprites and your task is to write a simple AI. After the event I extended the sample to run on Windows 8, Windows Phone as well as Silverlight and WPF, and somehow got a mention from Channel 9. A few months back Neil Danson ported the sample to iOS, and over the last few weeks I’ve been playing with the HTML 5 canvas and have created a FunScript version too. 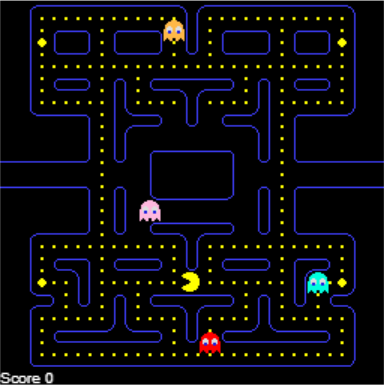 The simple AI above switches the ghosts between homing in on Pacman and random moves every 500 frame updates (roughly every 8 seconds). In the more competitive Pacman session ran by Paulmichael Blasucci and Rich Minerich the final was between Jack Fox and Tyler Smith. 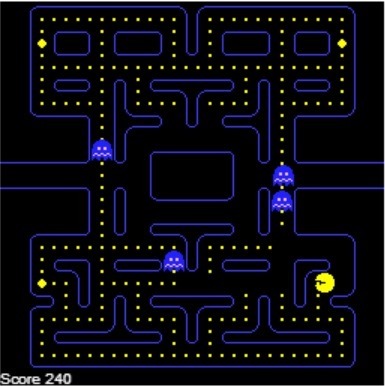 and there’s a Pacman Kata scheduled for November at the F#unctional Londoners meetup.